Esse final de semana foi para tirar o atraso!!! Duas artes boas!!! A batgirl que postei ontem e hoje essa Safira estrela, versão animated. Fazia um tempo que não trabalhava nada na linha. E já estava com essa imagem na cabeça a dias!!! Agora o próximo passo é colorir. Quando esta estiver colorida eu posto ela junto com a Batgirl, ok? No momento penas pinturas a mão. Quando tiver mais tempo aí sim vai para o CG. Ah sim... quero fazer artes em cima das novas tropas da anéis de poder da DC. Adoro!!!!!!!!!!! This weekend was to catch up! Two good arts! 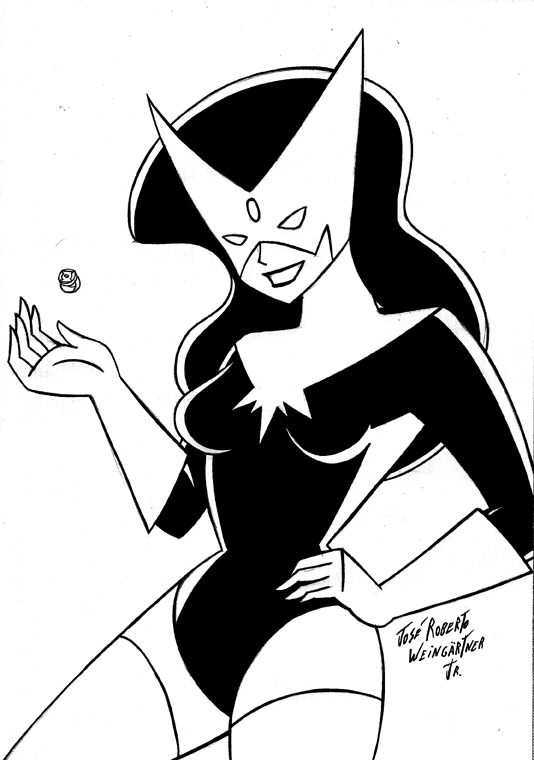 The batgirl I posted yesterday and today that Star Sapphire, animated version. It was a time not worked on anything online. And it was with this picture in his head for days! Now the next step is to color. When this is colored I'll post it along with Batgirl, ok? Upon sentencing paintings by hand. When you have more time then yes go for the CG.